Dr. Alexander Rybkin is a recognized radiologist in San Francisco, California. He received his medical diploma from UCLA David Geffen School of Medicine in Los Angeles, California, in 1999. After getting his medical degree, he did an internship at Santa Clara Valley Medical Center. 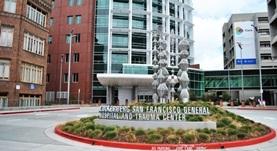 Dr. Rybkin completed his medical education with a residency in radiology at UCSF. 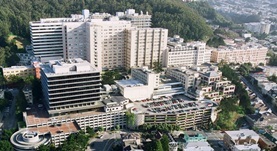 He is certified by the American Board in diagnostic radiology and works at UCSF Medical Center and San Francisco General Hospital. Dr. Alexander Rybkin has contributed to 3 publications. A Web-Based Flexible Communication System in Radiology. Rybkin, A.V., Wilson, M.; J Digit Imaging. 2011 Oct. Diagnosis of cirrhosis by spiral computed tomography: a case-control study with feature analysis and assessment of interobserver agreement. Keedy, A., Westphalen, A.C., Qayyum, A., Aslam, R., Rybkin, A.V., Chen, M., Coakley, F.V. ; J Comput Assist Tomogr. 2008-03-01. Current concepts in imaging of appendicitis. Rybkin, A.V., Thoeni, R.F. ; Radiol Clin North Am. 2007 May.